You operate Bahraini German International Services, along with your partner Mohammed – what made you want to set up an operation in Bahrain? Mohammed Al Sharqi gave me the opportunity to become a businesswoman in a field where I could help patients needing to receive treatment abroad. Being a German national, I felt confident to offer the best quality services to our customers, since German healthcare is among the best in the world. Mohammed had offered services for Arabic patients, who received spa and rehabilitation treatment in the Czech Republic and it was a perfect idea to extend this to all medical fields in Germany. When we applied for the CR [Company Registration] in 2003, the field of Health Tourism services was not available on the list of business opportunities and we became the first company with such a CR. Bahrainis had been travelling to Germany for medical treatment for a long time, but they always visited the same cities and doctors. My goal was and is to search for the specialist in the individual patient’s disease who can offer the correct diagnosis and offer treatment. Most patients have contacted many doctors before they talk to me and have been unable to find assistance. We have helped many patients in the almost 14 years since we opened. 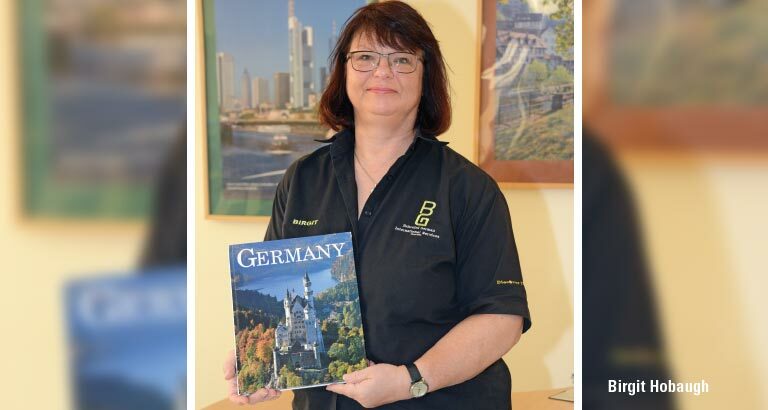 You expanded into the general tourism area, introducing Arabs to Germany and Germans to Bahrain – has this proved successful? Expanding your business field is very important in Bahrain and as a service company we are very flexible with our offers. We see our company as a travel expert and consultant, and our customers receive a lot of information, recommendations and support when booking their leisure or business travel. We talk to our clients, who are mostly from Bahrain but also some from across the region, to find out their needs and to make their travel an unforgettable experience. Germany has a lot of different landscapes and there is a perfect destination for everyone. Our goal is it to share our experience and organise the perfect trip. Do you see the number of German visitors to Bahrain rising, falling or staying the same, and what do you feel could be done to bring in more tourists? I am a licensed tourist guide in Bahrain, and I welcome 1,000 German speaking tourists every year. Many are coming for just half a day by cruise ship in the winter season. The number of tourists staying in Bahrain for a few days is increasing, because those who are interested in the Arabic and GCC countries want to discover Bahrain as well. We are promoting the rich history, the traditions and culture as well as Bahrain’s citizens, who are so welcoming to their guests. How has your business coped and competed with the massive explosion in online travel booking? We are available for those who need support and information. And our service includes a lot more than booking engines can do. We are focusing on worldwide travel for groups, for example. Our Motorcycle Travel Group MTG is already working on the schedule for 2018, offering motorcycle trips. In the past four years we have organised 15 group tours, all starting from Munich, Germany. This region is a paradise for bike riders. Other than your business, what role do you play within the island’s German community – are there groups and activities? I like to bring our community together for different activities and by sending information through my database. With some other people, I am also welcoming new Germans moving to Bahrain, answering their first questions and introducing them to the community.